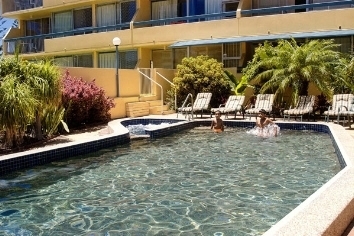 The Hi Ho Beach Apartments is one of Broadbeachs best kept secrets. Only 100 meters away from the beautiful Kurawa Beach and the very best on offer just meters away. 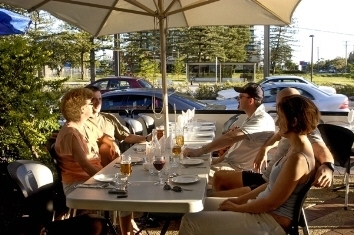 Conveniently located in the heart of Broadbeach the Hi Ho is also close to the Gold Coast Convention Centre, Conrad Jupiters, Pacific Fair, Oasis Mall and all the best restaurants in Broadbeach. If you are looking to relax and soak up the Gold Coast sun why not lay around our heated pool and spa or entertain family and friends at our large BBQ area. The Hi Ho Beach Apartments offers a choice of 1 & 2 Bedroom Standard, Superior or Executive self contained apartments. All the apartments have their own private balcony and from the 2nd floor up have views of the ocean. Although not as luxurious as our Superior and Executive. These apartments represent fantastic value for money. They all come with Lovely Ocean Views and Sunny balcony. 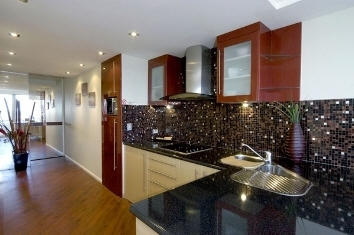 Completely refurbished, modern apartments decorated for the discerning guest. Rates are per apartment for 4 people. Maximum of 5 people. Charges apply for extra guest. 2 Bedroom with Queen size and 2 singles. Fold out sofa bed in lounge. 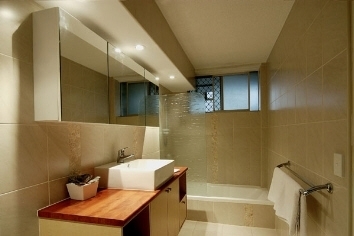 Refurbished to a very high standard luxurious bathroom, kitchen and lounge. By fold windows over looking the Ocean. This apartment offers the highest standard of quality with Air conditioning, Flat screen TV and DVD player. Contemporary by design. For that special occasion.